The Ampeg PF-800 is an ultra-compact bass guitar amplifier head that squeezes 800 watts of power into a lightweight, incredibly portable package. Designed to produce the uncompromising sounds that made Ampeg famous, the PF-800 combines an 800 watt RMS Class D power amp with a 3-band EQ MOSFET preamp that also features Ultra Hi/Lo boost switches and a five-position mid-tone control. This highly versatile pairing allows for an almost endless variety of tones to be instantly achieved thanks to its simple design and layout. 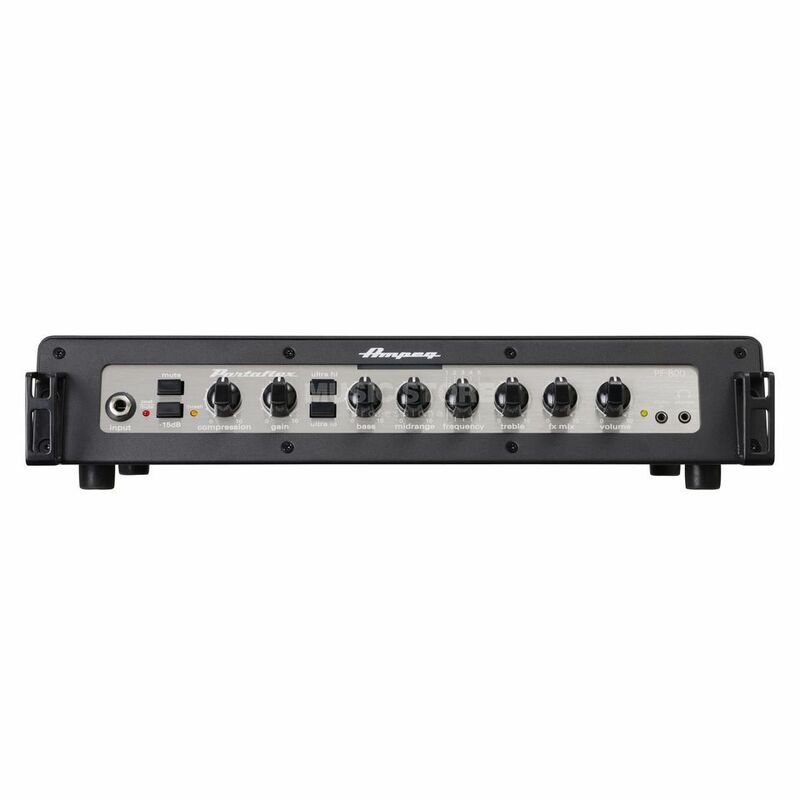 The versatility of the Ampeg PF-800 bass amp head is further enhanced by the presence of an on-board compressor, -15dB input pad for active basses and a foot switchable mute switch. The PF-800 also features a foot switchable FX loop with a dedicated mix control and a balanced direct out with a pro/post EQ option, ground lift switch and a -40dB pad.